The Top Scratch is a famous gaming website that is completely filled with the best services the players could get on the whole web. Makin its main goal to establish a center that caters to all the gambling needs, this casino is quite entitled to bring the most of online entertainment so that every single gamer would appreciate their offer to the fullest. The website is very stylish with an easy to navigate interface that has all the major sections. 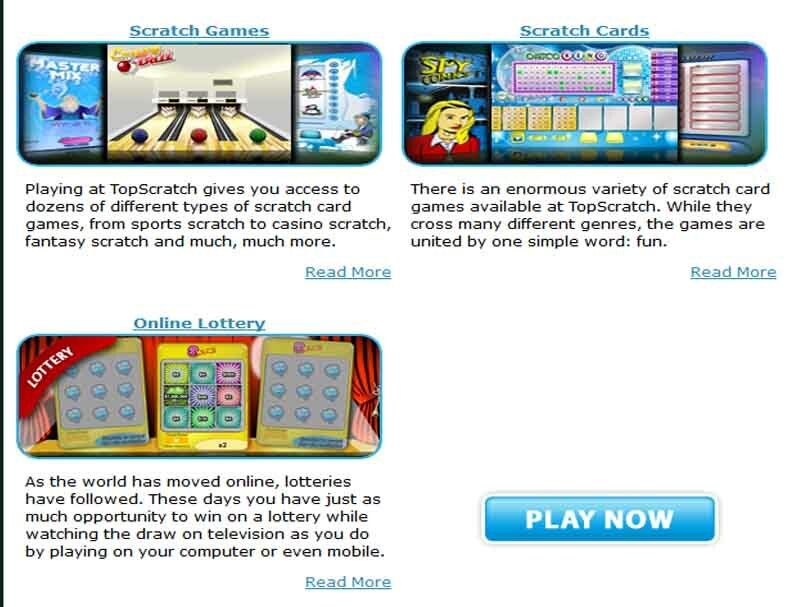 The games are supplied by Neo Games the top developer of Scratch Cards and other similar amusements. It is behind all the most popular Instant Win Games, but it also provides many other standard casino positions. All of the enabled products are being tested by iTech Labs to prove the reliability of every one of them. To assure the compliance with all the standards, the Random Number Generator was installed so any of the outcomes would be considered fair. Thanks to the advanced encryption protocol the website is constantly guarded against any outside threats. The brand id completely regulated by the Lotteries & Gaming Authority of Malta. 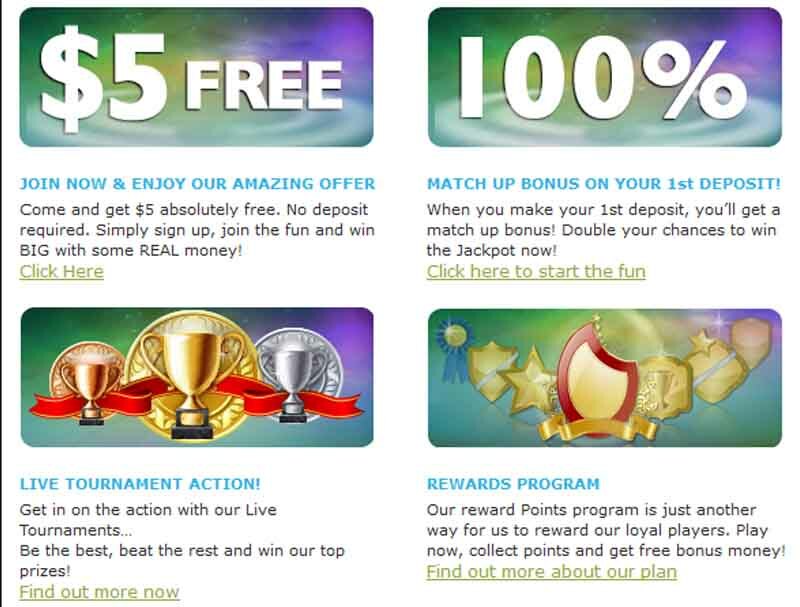 The bonus program is available to all the registered users and will provide them with highly anticipated promotions. The majority of the games that were included in the collection are the Scratch Cards. They are very common to find at any of the gambling places, because they are quite cheap to acquire and can instantly generate the ending result that may prove to be an awesome winning. The Slot Games are also very attended with such interesting titles like Sakura Garden and Castle Slots which can entertain you for hours. The other games from this genre include Sky of Love, Café Paris, Music Room, Ice Land, Bon Appetite, Grand Crown. The fans of sport action will find that they can try their skills at the Crazy Ball. There are also Knights Battle, Gone Fishing, Gold Kick, Road Racing. To win the top prizes play the Ocean Pears or Lucky Charms. The ones that prefer 90 ball bingo will be satisfied with Espresso. The other casino goods are Lucky 21, Poker King, Roulette, Keno, Master Mix, Super 3 Wow. The customer support can be contacted by live chat, e-mail and phone. Banking options that are able to choose include Wire Transfer, Visa Electron, ClickandBuy, Neteller, ecoPayz, Skrill-Moneybookers, Click2Pay, MasterCard, EntroPay. The currencies accepted by the casino are Norwegian Kroner, Canadian Dollars, Swedish Krona, Euros, AU Dollars, U.K. Pounds, U.S. Dollars. The interface language is available in Spanish, German, English.